For generations people have come to St Mary’s for marriage. Getting married in church has been important to many of them because it allows a couple to make their promises to each other in the sight of God and also to ask for God’s blessing on their future lives. Getting married is one of the most important decisions you will ever make. For many people it is the most important day of their life. There are all sorts of decisions to be made about how that marriage is to be celebrated, including where to get married. I am interested in getting married at St Mary’s. What do I do next? Having decided you want a church wedding, the first thing to do is to come to church for the Sunday morning service at 9.45 or 11.15am or contact the Vicar. What are the legal requirements for getting married at St Mary’s? If you live in our parish you must have your banns read out in church for three Sundays during the three month before the wedding. If you do not live in the parish but would still like to get married at St Mary’s there are special rules so you will need to talk to the vicar. One or both of us are divorced. 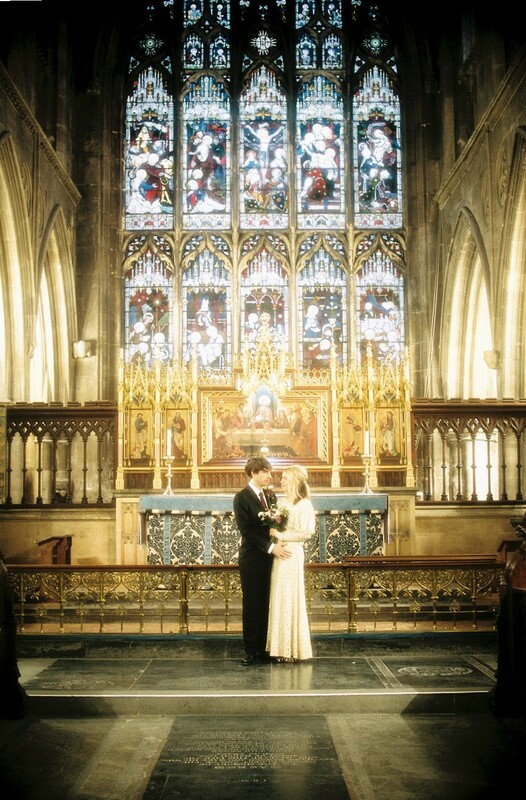 Can we get married at St Mary’s? YES although the marriage service makes it clear that marriage is for life, we recognize that sometimes things can go wrong despite our best efforts and intentions. At St Mary’s we wish to show care for those who honestly want to try again. 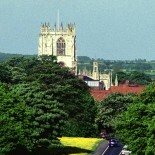 Please speak to the vicar if you are divorced and would like to get married at St Mary’s. What about flowers for the wedding? We have some wonderfully talented people who can arrange flowers for weddings. The initial cost of the Service in 2019 is: £520 (including banns, certificates and verger fee). What people say about weddings at St Mary’s…. Just wanted to send thanks to everyone at St Mary’s for making our daughters wedding so special. Could you please pass on special thanks to Rev Becky Lumley for a lovely service and putting them both at ease (even when Joanne forgot which hand to put the ring on! ), also the choir who sounded beautiful, and we think it was Lavinia Raynor who did the flowers – they were stunning and to Judith Fleming who helped on the day and in the rehearsal. Also to Catherine for organising them both. You were all so kind and patient and many people commented on how nice the service was and obviously what a beautiful church St Mary’s really is. We are all still on cloud nine 4 weeks later.